The cancelation of the “L- Pocalypse” is a great thing for the New York City community, but the news was met with a lot of confusion. Local representatives and residents alike have been wondering what the L is going on? This inspired Blue Point brewery for their new lager, “What the L?”. Blue Point, a New York based brewery, understands the confusion New Yorkers have been faced with over these past few weeks. 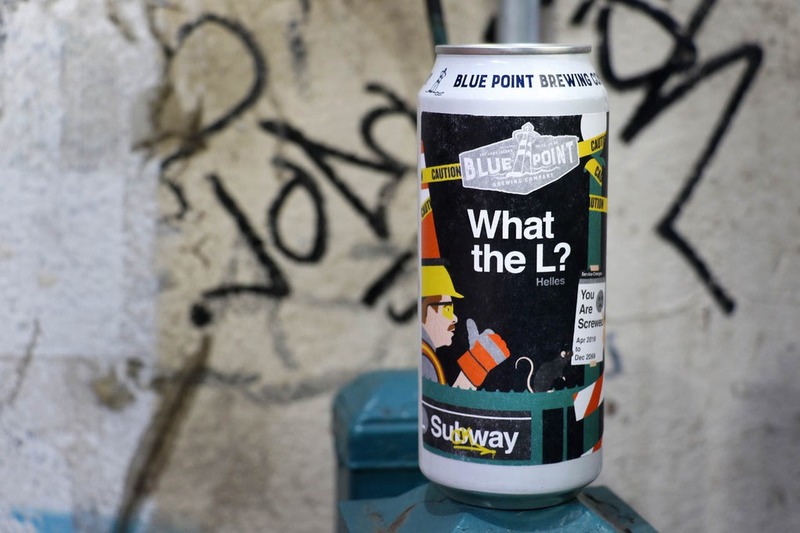 To show New Yorker’s they’ve got our backs during these trying times, Blue Point created “What The L?” to bring us relief. “What the L?” is a helles style lager with 5.2 percent ABV. For the label art, Blue Point teamed up with NY artist Winston Tseng. Tseng is a graphic artist and art director best known for his work for skateboard company Enjoi, as well as his art installations around delays and sanitation throughout the city’s subway stations. The Brewery just hosted their "The IPA" release at Avant Gardner on Jan. 12, admission was free with RSVP and the acts were none other than New York based bands Matt & Kim, Phony Ppl, Small Black and S'natra. The beer will be available for purchase in NYC come April, shutdown or no shutdown! For more information about Blue Point Brewery and for details about the “What the L” release event being celebrated in Brooklyn, follow them on Twitter, Facebook, Instagram, Pinterest and Youtube. Cover image courtesy of Blue Point. L trainl-pocalypseL train shutdownbeercraft beerbreweryWhat The L?